Stock up on flats this season with these women's casual loafers. Ideal for occasion where wearing flats is a must. 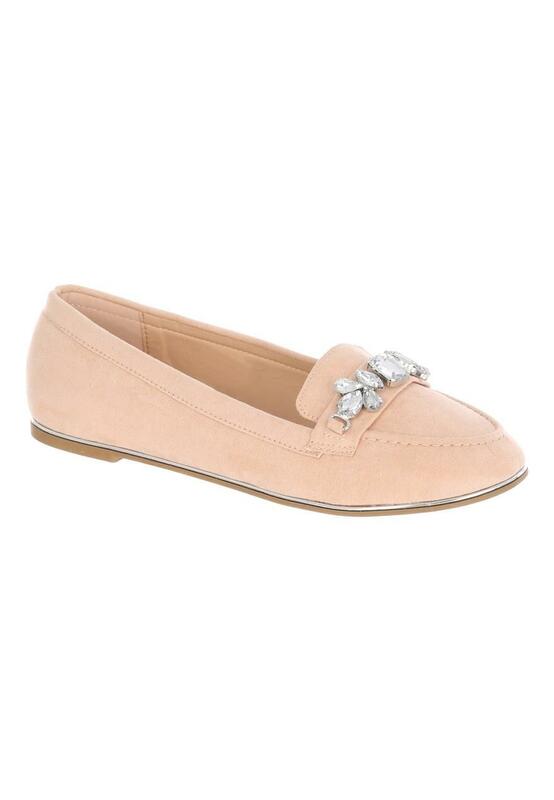 Featuring a rounded toe, a head-turning jewel feature on the toe area, and in a beautiful pale pink hue, these shoes are a must have footwear essential.